This Wayfinding Sign Features a Neutral Silver Finish. 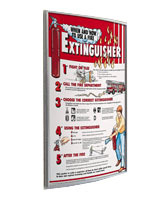 Each Frame Holds a 3" x 15" Graphic, Perfect for Directory Signage. Many Other Wayfinding Sign Sizes Available. Media Size: 3" x 15"
2.5" x 8.5" 3" x 4" 3" x 5" 3" x 8" 3" x 11.5"
Includes flexible, non-glare lens to prevent sign from being damaged. Backer constructed from anodized aluminum for durability. This wayfinding sign is an eye-catching means of displaying pertinent information, such as room numbers, employee names, warning signs or directories. This metal frame can coordinate with any setting it is placed in, as a result of the silver anodized aluminum frame and plastic end caps. 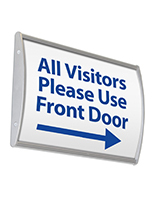 This silver wayfinding sign, also known as a directional signage system, can be easily affixed to a wall or door using the provided, double-sided VHB (very high bond) tape. 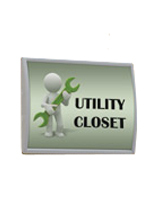 Each directory signholder can be attached to the wall in either vertical or horizontal orientation. 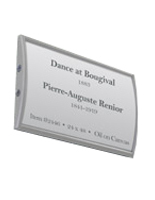 The curved design makes your displayed messages "pop." 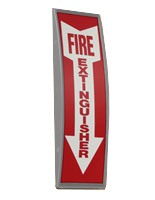 This directional signholder, wayfinding sign that sticks to a wall is a great addition to any office or organization. Each wall plate comes with a non-glare lens to protect the prints from getting damaged, and for easy viewing from every direction. 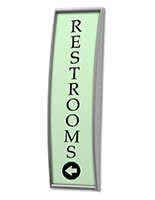 This name holder, wayfinding sign that is affordable also permits fast and easy graphic changes. Printed graphics can be changed by simply removing the lens using the provided suction cup. Though artwork is not included with this product, customers can easily print their own artwork. 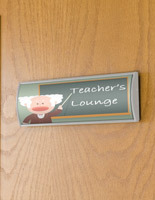 Sold at an affordable price, customers can even purchase multiple cheap wayfinding sign frames to create lobby directories for customers to find their way to the desired location. 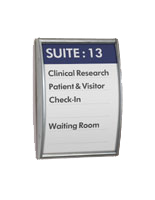 This type of signholder is often found used within law firms, universities, studios, hospitals, and more. 3.1" x 16.8" x 0.5"